Vibetown performed at a great wedding this weekend at one of our favourite wedding venues to play at in Yorkshire, Allerton Castle. Situated near the market town of Knaresborough and a stones throw from both York & Harrogate, this is a perfect venue for an idyllic summer wedding. Steeped in history as it is over 1,000 years old and still standing strong, its setting amongst the Yorkshire Countryside is something to behold! Allerton Castle is a great wedding venue choice if you have your heart set on having a live party band for your evening entertainment. 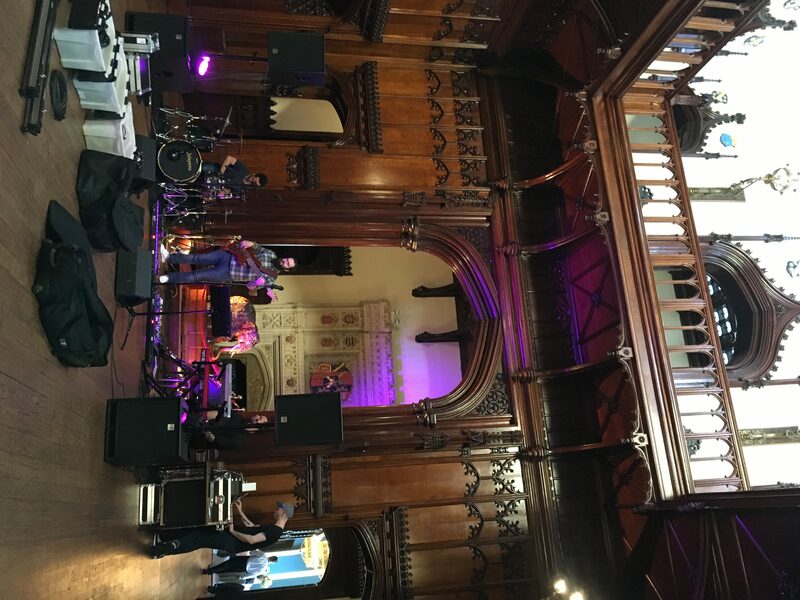 Some venues are woefully ill equipped to have live music, but not at Allerton Castle. The performance space is perfect for a live band and offers ample room for both performers and guest alike and is set against an incredible backdrop of Ye-Olde English art, artefacts and decor. And there isn’t a sound limiter in site to ruin everyones fun! 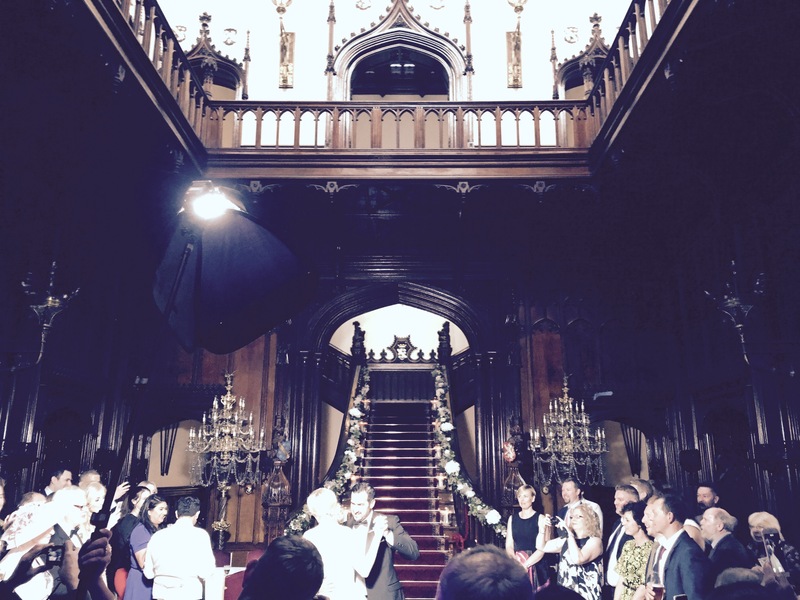 Awesome Wedding Band Gigs at Allerton Castle! We first played at this venue way back in 2009 and have been there a number of times per year ever since performing at mainly weddings and the odd corporate event alike. Our latest trip there was one of a long list of great gigs at this venue, the crowd were well up for a dance and everyone was having fun the whole night. We even got treated to surprise fireworks and a traditional Bhangra Band performing during our interval. The live drumming was amazing as was the dancing! Feel free to head over to our Check Availability page and drop us a message to see if we are free and to receive a personal quote! "Thank you so much for playing at our wedding, you guys totally rocked - absolutely brilliant mix of music play fantastically! As Im sure you noticed you inspired some pretty epic dancing from our family and friends. Even my Mum was going for it! Thanks so much again and all the best for the future"